Brady, Brees, Mahomes, Goff, Rivers, Luck, Prescott, Foles, Tannehill. One of these names is not like the others. 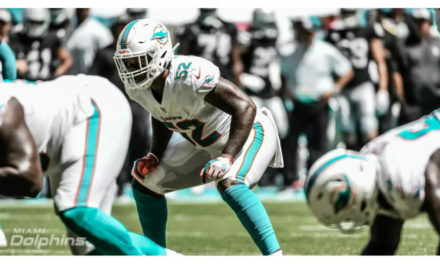 While the first eight names listed were playing in their Divisional Round playoff matchups over the weekend, Tannehill and the Miami Dolphins were watching from home. Not exactly unfamiliar territory for Miami. 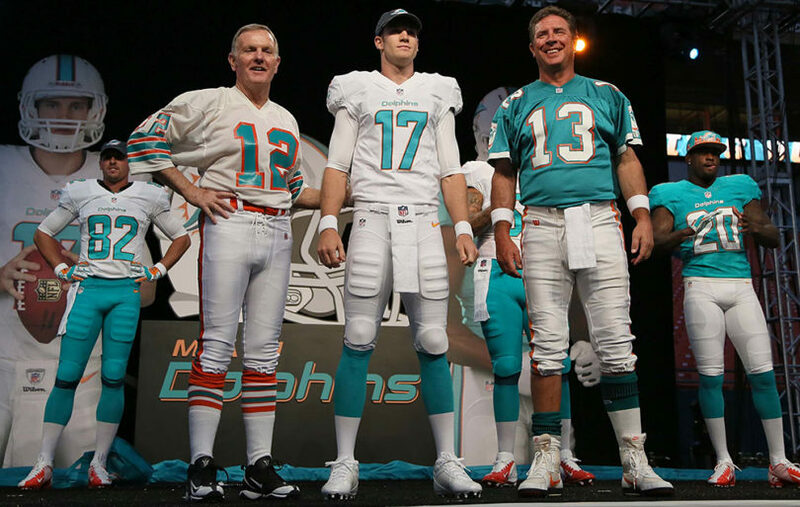 For the seventh time out of the seven seasons that Tannehill has been in the NFL, Dolphins fans watched the second round of the playoffs without seeing aqua and orange on the field. If it wasn’t painfully obvious after watching Tannehill quite literally hand the Cincinnati Bengals the game in Week 5 that it is time for a change at the quarterback position, watching these playoffs should. Each team that competed over the weekend has a legitimate franchise quarterback on the roster; heck, the Eagles have two! So where does this leave Miami? The obvious answer is searching for their first franchise quarterback since Marino but that is easier said than done, just ask Cleveland. Brady, Mahomes, Goff, Rivers, Luck, and Prescott were all drafted by their respective franchises, while Brees and Foles were signed in free agency. Saban could have ended the misery back in 2006 by signing Brees over Culpepper but let’s not beat a dead horse. Looking at 2019, the options are bleak. Foles will headline the free agent class, assuming the Eagles don’t extend him or franchise him, with Teddy Bridgewater and Tyrod Taylor the other top options that should be hitting the open market. This year’s draft doesn’t look too much better unfortunately. Dwayne Haskins out of Ohio State looks like the top QB in the class but should be long gone by the time the Dolphins select at 13. Kyler Murray out of Oklahoma looks like he is going to enter the draft, and while he is an electrifying talent that dazzled enough to win the Heisman Trophy this year; he is currently under contract with the Oakland A’s. Is he going to fully commit himself to football or is this just a negotiation tactic to get the A’s to give him more money? That’s not to mention the questions surrounding his smallish stature. After that, it really gets dicey. Drew Lock out of Missouri put up impressive numbers his Junior year but looked like he took a step back this year, especially against the top defenses in the SEC. Daniel Jones out of Duke has a quality arm and had an impressive bowl game this year but looks to be a clone of Tannehill, right down to the jersey number. Will Grier put up video game stats at West Virginia but comes with character concerns and limited arm strength. None of these options screams franchise quarterback, with the possible exceptions of Nick Foles and Kyler Murray. With the assumption that Miami doesn’t trade up for Haskins and already having gone over the potential risks with Murray, Foles may be tempting, but even he comes with plenty of question marks. It wasn’t until Doug Pederson took over in Philly and Carson Wentz went down with an injury that Foles started to look like a potential franchise QB. This coming after one solid year in Philly, a failed stint in St. Louis, and a backup role in Kansas City. Is this a case of a QB finally figuring it out or an offensive minded coach being able to tailor the game plan to his quarterback’s strengths? After all the questions that have surrounded the quarterback position since Marino, I’m not sure the Dolphins should try to answer this one. If it were up to me, I’m waiting until 2020 to address the QB position. 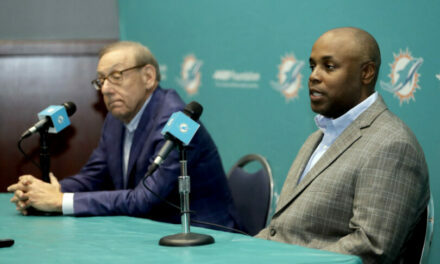 Fortunately, if we are to believe the reports that have been coming out regarding the Dolphins thinking, this is in fact what they are planning to do. Tua, Jake Fromm, and Justin Herbert all look like superior prospects than the quarterbacks coming out in this year’s class. 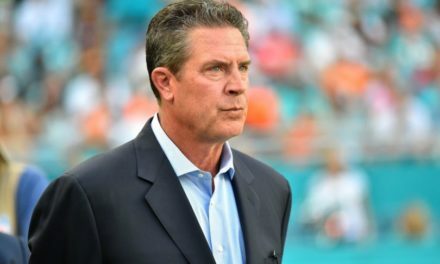 If we are to trust what the Dolphins brass has told us, we are going into full-blown rebuilding mode and chances are high that we will be drafting in the top five in 2020, putting Miami in great position to snag one of the top passers. While it may be painful to watch next year, I for one am willing to stomach a 3-13 season in 2019 if it means finally finding a franchise quarterback that isn’t already on vacation when the Divisional Round of the playoffs comes around. I agree. We need to move on from Tannehill. It’s been 7 years. That is more than an enough time.